Satya obtained her Master’s degree in Social and Organisational Psychology at Leiden University, in the Netherlands. After graduation, she worked as Graduate Recruiter for multinational organisations including ING Bank. After working as Careers Consultant at Leiden University, she joined the Employer Engagement team as an Adviser at City, University of London. 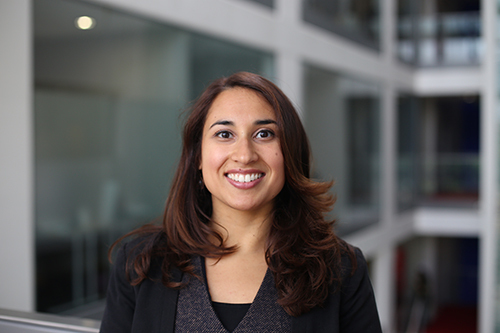 In her role as Employer Engagement Adviser, Satya will be developing links between City, University of London and employers, responding to trends and updates in the marketplace and supporting colleagues across City to build activities to promote the best destinations for City graduates. Her key focus will be supporting the City Law School and the Department of Computer Science with bespoke employer activity including helping source exclusive industry insights and Micro-Placement projects with employers in the legal and technology sectors. Additionally, Satya will be undertaking projects around City's international activity and handling the work the university does with small and medium enterprises.